REGISTRATION IS NOW CLOSED. 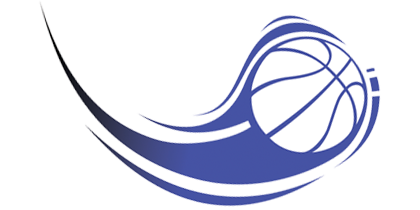 Late players need to contact awrecbasketball@gmail.com and will be placed on a waiting list; players will not be assigned to a team until February 24th (if spaces are available). The program is designed to introduce boys and girls to basketball who are currently enrolled in Kindergarten through 2nd grade and live in the Anthony Wayne School District. Volunteer coaches will instruct each player through a minimum of 8 skills sessions that will emphasize the essentials necessary to provide a solid introduction to the game -- dribbling, shooting, rebounding, passing, screening and scrimmaging. Kindergartners will be on K only teams. 1st and 2nd grades will be combined. There will be no weekend games or tournaments. Practices are during the week only. Some basketballs will be provided but we encourage you to bring your own, as well as indoor shoes and a water bottle. PLEASE BE SURE TO REGISTER BASED ON YOUR CHILD'S CURRENT GRADE LEVEL. Register by February 14, 2019. All late registrations will incur a $5 late fee. Season runs February 25 through April 26. Parents are welcome and encouraged to sign up for Coaching positions. COACHES MEETING: Saturday, February 16 at 10:00am in AW High School Cafeteria. This program would not be available without all of the parent volunteers that help to coach each team. If you would like to assist, sign up to volunteer or coach your child when you register them for the program. Your child will automatically be placed on your team. At this meeting, we will discuss practice times, team rosters, and practice drills/skills. No experience necessary! !